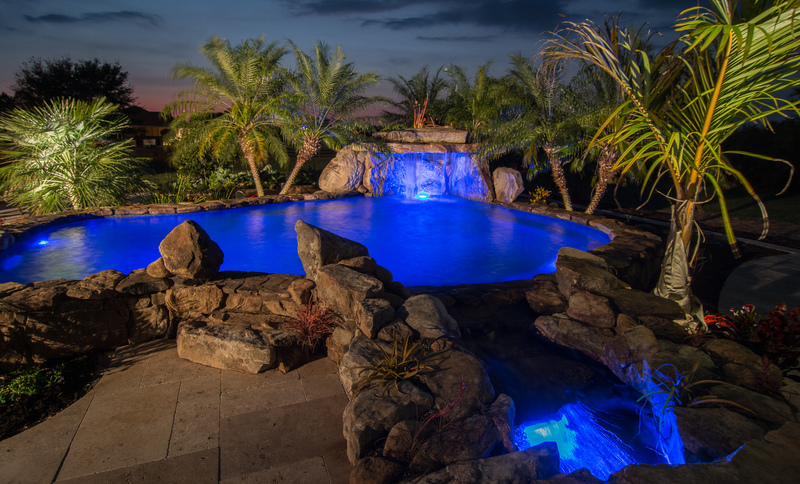 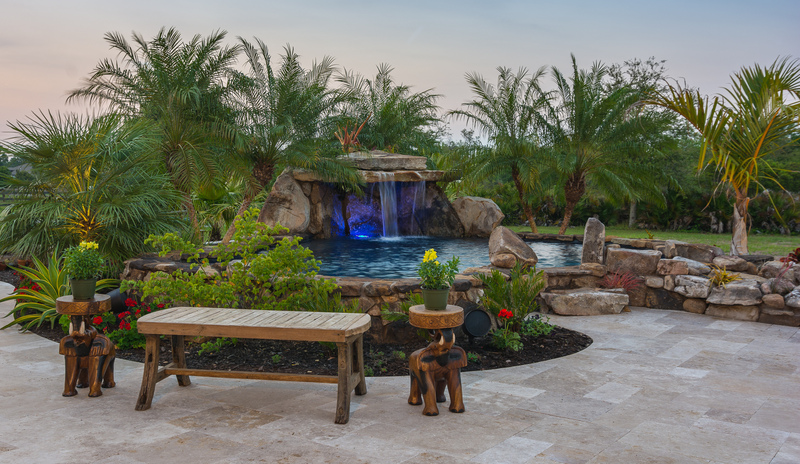 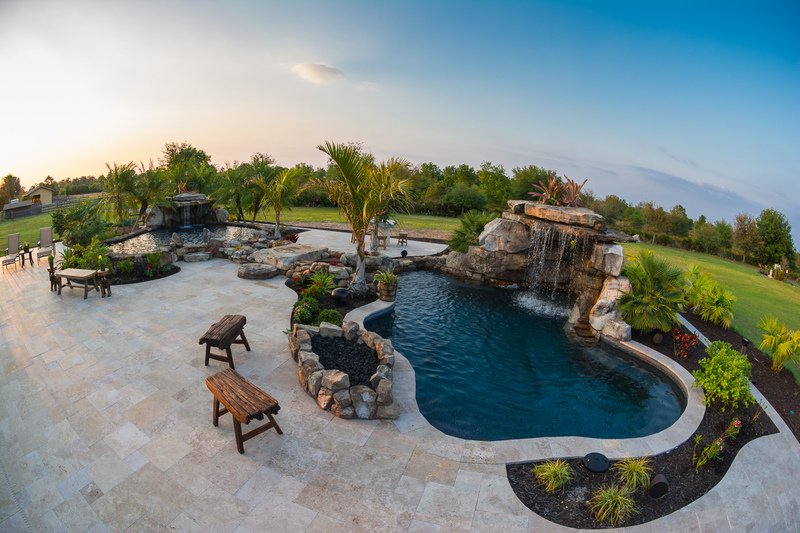 At a massive 70×40 feet and wrapped in 2100 sq ft of travertine, this Paradise Preserve at the Taylor residence was featured on Episode 4 of Insane Pools. 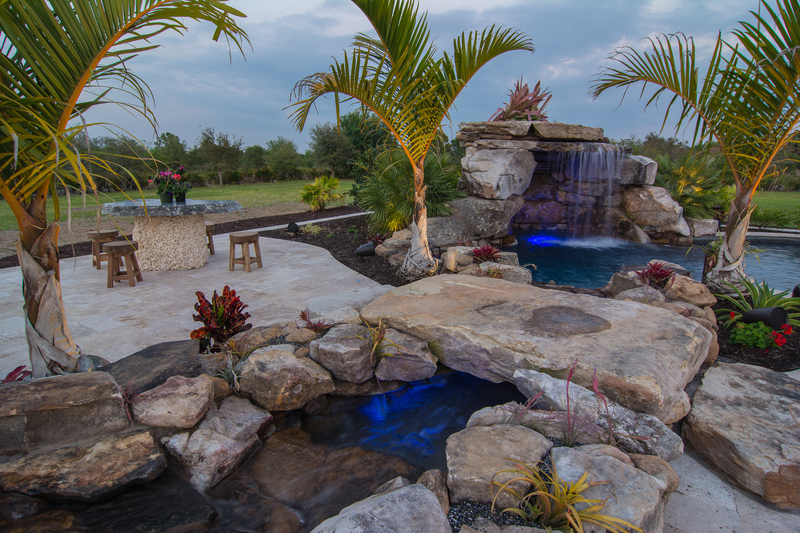 Taking over 72 ton of Tennessee Fieldstone, two 350 sq ft pools are connected with a mountain stream and large rock bridge over to the sitting area, which includes a cut glacial granite table. 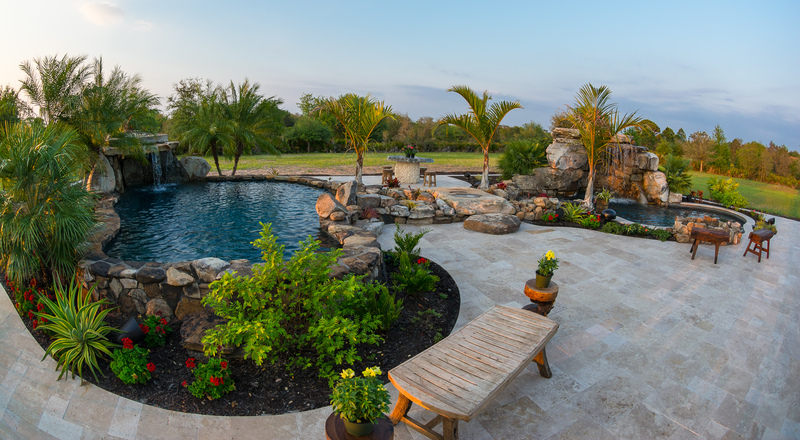 600 sq feet of garden area compliment the functionality of the exercise pool – complete with 8 therapy jets and a swim jet. 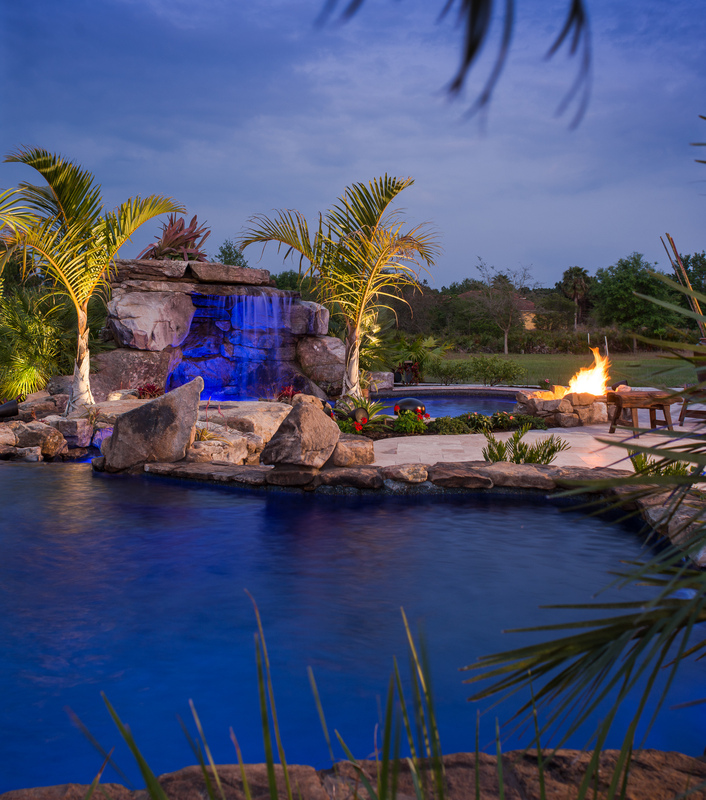 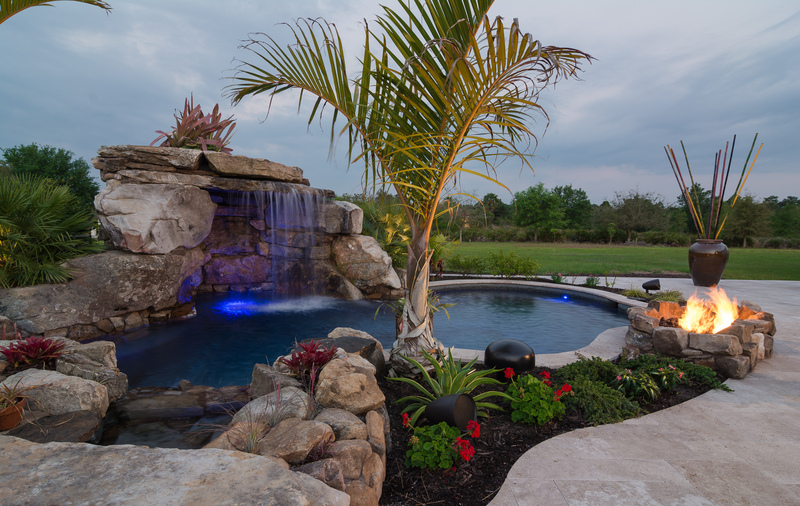 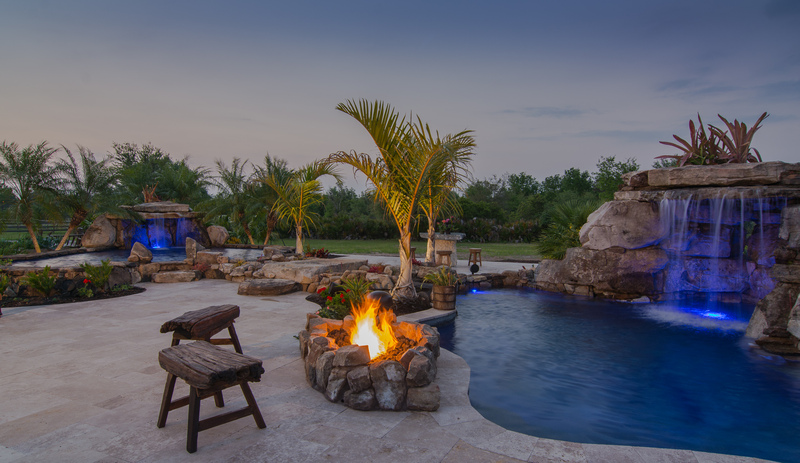 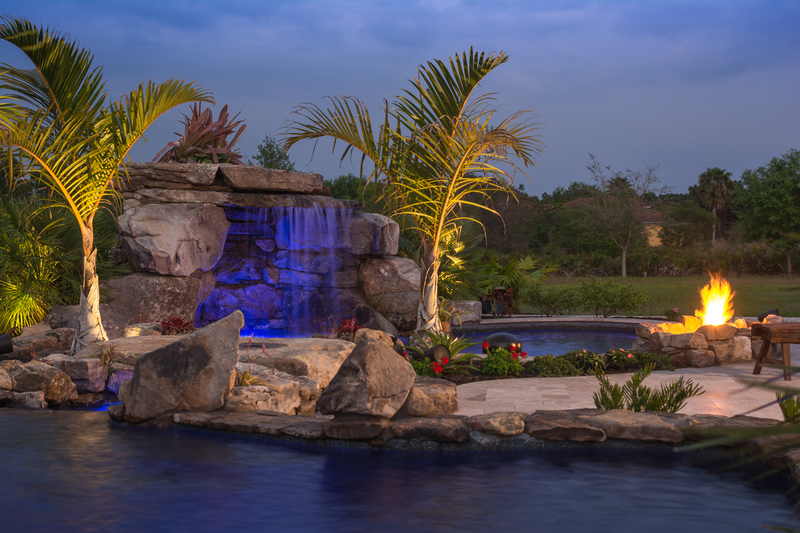 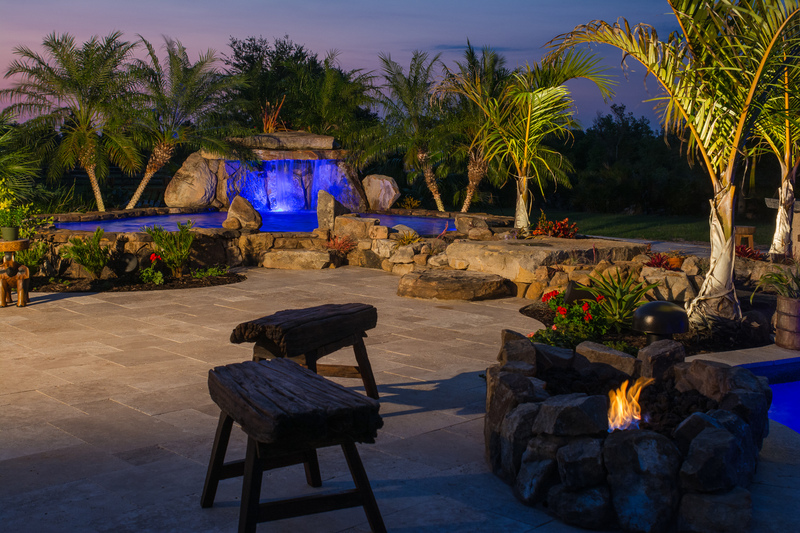 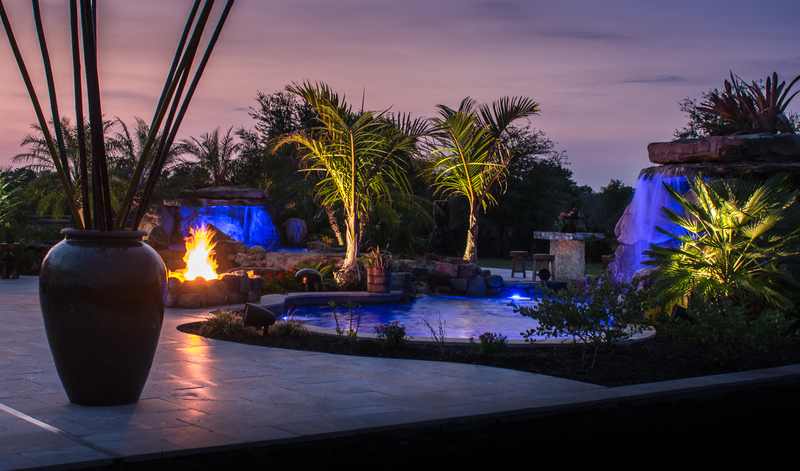 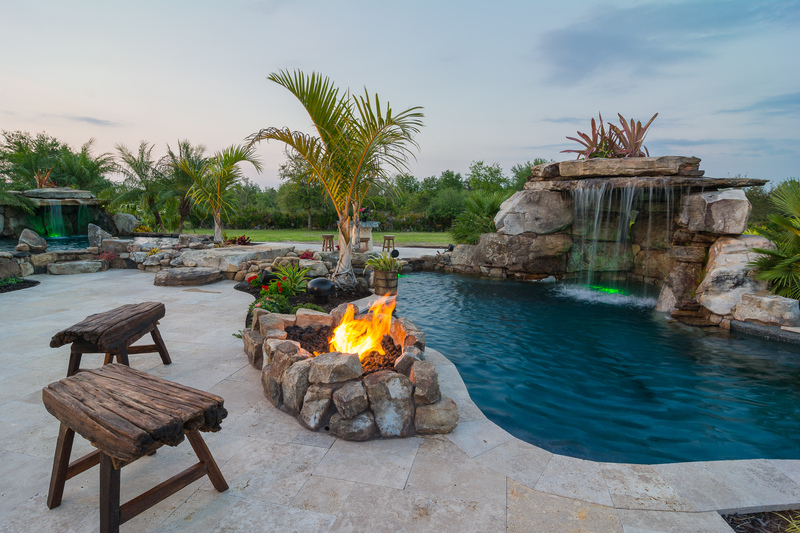 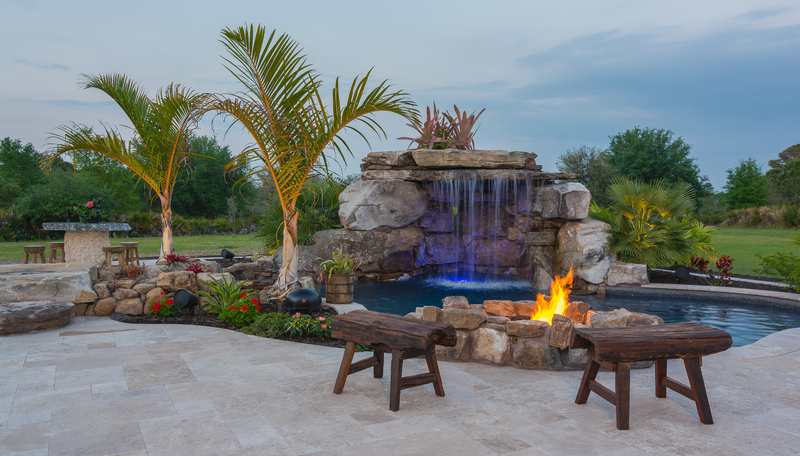 The main pool, with it’s seating area and firepit, create the perfect spot to relax and enjoy the Paradise Preserve.